The origin of the word ‘candelabrum’ is a Latin term which translates to literally to candle-tree. This is due to the many branches or arms of the candelabrum resembling that of a tree spreading it’s branches in all directions. A candelabrum is a single, multi-armed candlestick, and two or more of these together are known as candelabra. The ‘Labra’ of the candelabrum are the ‘arms’ or ‘branches’ of the candelabrum, and it is often the way that these labra have been created and which style they have been formed in which determines the type of candelabrum . The labra usually have a flowing, naturalistic linear form, often intertwining with one another.This style was a motif of the Victorian and Edwardian candelabra, whereas Georgian candleabra are often straight, with very basic structure. While a candelabrum can give the impression of a regal home, it can also fit into the décor of any home, depending on the size and style which is chosen. 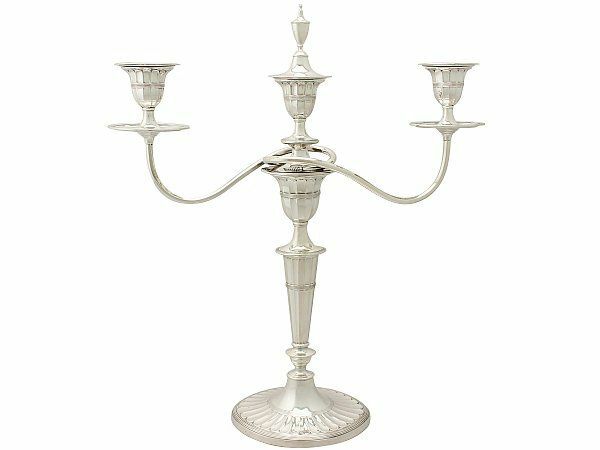 A candelabrum is also a surprisingly practical piece of silverware, as not only does it provide a great deal of candlelight, but also buying a silver candelabrum means that it will last far longer than a cheaper material such as brass, and treat with proper care a silver candelabrum can provide a lifetime of pleasure. 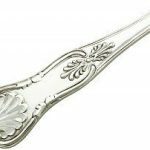 Antique candelabra, in particular, are highly desirable pieces of silverware which can be highly collectable with the correct provenance and maker. George I Candelabra were tall, thin and angular, with uncomplicated forms and were some of the earliest incarnations of silver antique candelabra. This was reflected in much of the antique silverware of the Georgian era, and these pieces often featured minimal decoration or engraving. Throughout the Georgian era, these candelabra became more soft and linear, with curved arms or ‘labra’ providing a less harsh and imposing Impression. 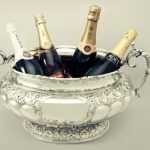 By the time the Georgian era was coming to an end with George III, silverware had become an altogether more feminine shape compared to the earliest pieces. The bases and labra had multiple knops added for practical reasons as well as aesthetic, and these became a distinguishing feature of the candelabrum as we know it today. The candelabrum from this period would be far more dramatic and highly decorative, with the focus being on the added detailing and engraving work. The scale and necessary height of candelabrum allowed silversmiths to practice their work as an art form, and alongside the fashion for formal dining, candelabra became a symbol of status and taste rather than just creating ample light. With the exception of the beginning of the century- welcoming the relatively quick art nouveau and Art Deco era- twentieth century candelabra have mostly been created in the form of antique reproduction styles. As a piece of grandeur, the most popular form of the candelabra has been faithfully recreated by many prominent and accomplished silversmiths and makers. Modern candelabra styles toy with the traditional and expected form, often substituting the height of the standard candelabrum for unconventional shapes and sleek, minimalist finishes. Although the electrification of indoor lighting has relegated candleholders to the status of backup light sources in most homes and other buildings, interior designers continue to model light fixtures and lighting accessories after candelabra and candlesticks. Candelabra and candelabrum were initially created to be situated on the dinner table during formal dining; the height of the candelabra is so that the line of sight would not be obscured, nor would the other table decorations and tableware be affected by the narrow – usually weighted- base of the candelabra, with a warm candlelight being emitted from above. Contemporarily, candelabra are generally used as more of a decorative ornament rather than practically being used for lighting. 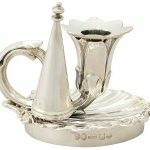 This in no way detracts from their splendour and the desirability as a piece of stunning antique silver. Candelabra have become popular again recently, with a move toward more natural elements featuring in home and interior design. 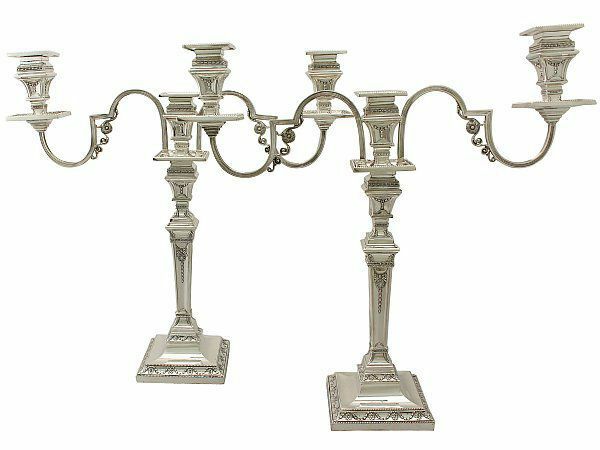 There are an abundance of replica antique candelabra on the market, but many of these are poor quality and do not have any of the durability, craftsmanship and beauty that genuine vintage and antique silver candelabrum possess. To learn more about candelabra, please view our blog on the definition of candelabra and the history behind them. 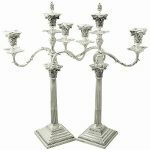 View AC Silver’s candelabra collection. Previous Entry: What are Mabé Pearls?